Waterfall Info: This is one of several waterfalls in the DeSoto Falls Scenic Area. It's on an unnamed tributary of Frogtown Creek that flows from Gooch Gap. 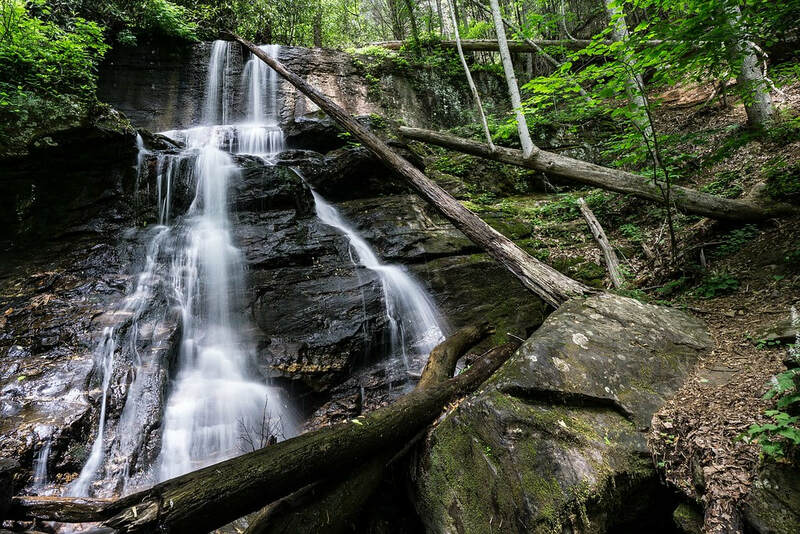 Access Info: Lower DeSoto Falls is accessed via the well-maintained Lower DeSoto Falls Trail from DeSoto Falls Trailhead off US 129.